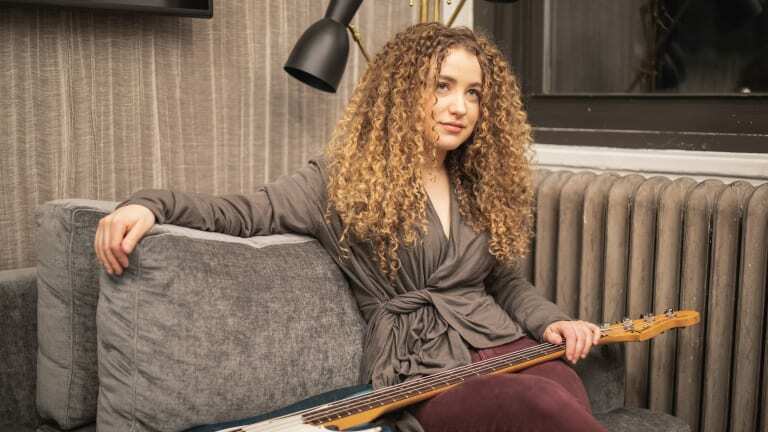 Meet the new Tal Wilkenfeld. 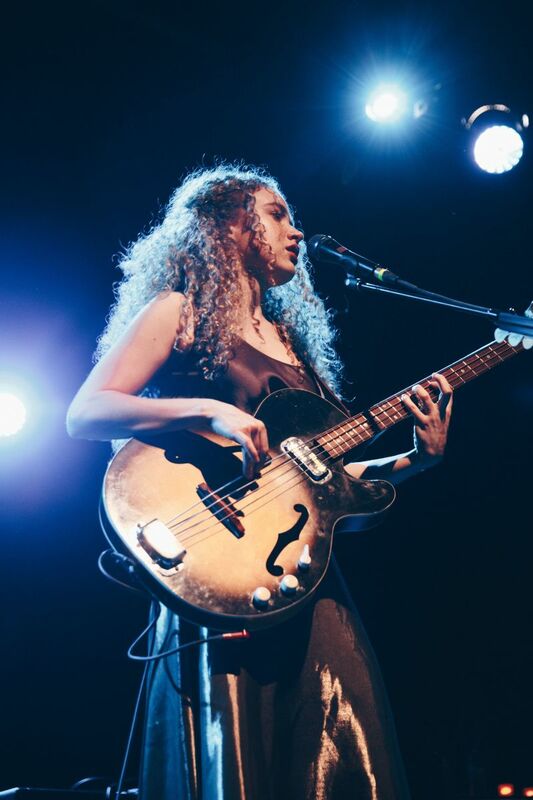 Same as the old Tal Wilkenfeld? 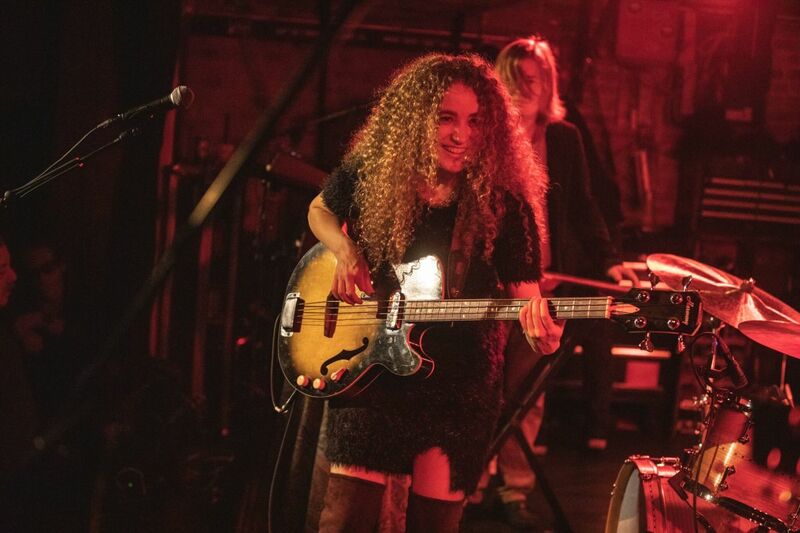 That query especially resonated in New York City this March, as the Australian-born “Wonder from Down Under” returned to the site of her explosive entry into the bass world and music scene for a two-week barnstorming run to promote her stunning new album, Love Remains. From two packed nights at the Mercury Lounge (featuring guests Sean Lennon and Becca Stevens) and “unplugged” webcasts with her reactive band (guitarist Owen Barry, drummer Tamir Barzilay, and keyboardist Chris Price), to an album listening session at Guitar Center and countless social media interviews including iHeartRadio, Gothamites quickly grasped her transformation (ironically, the title of Tal’s 2007 jazz instrumental debut). The teenage bass phenom who regularly sat in with the Allman Brothers at the Beacon Theater, gigged with Jeff “Tain” Watts and Wayne Krantz, toured with Chick Corea, and blew up the internet with her solo on “Cause We’ve Ended As Lovers” as a newly minted member of Jeff Beck’s band at Eric Clapton’s Crossroads Festival 2007, had evolved — in a major way. 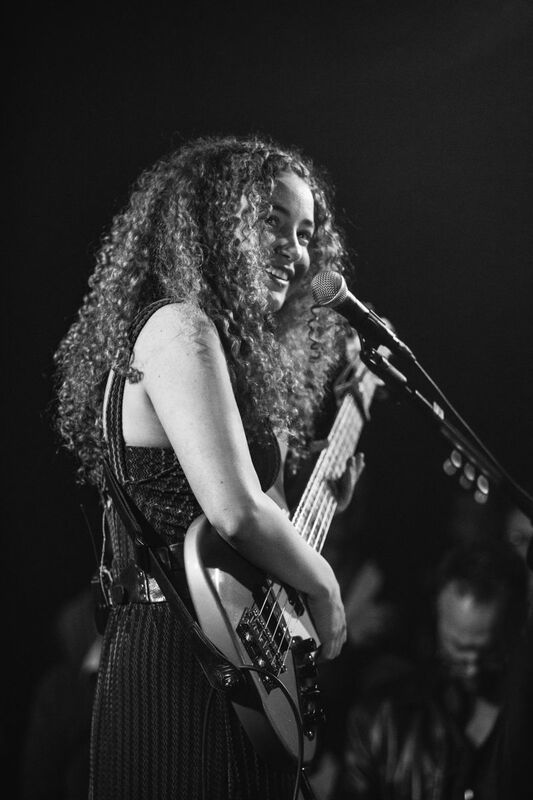 Love Remainsis a proclamation of the full range of Wilkenfeld’s considerable gifts. It’s a return to what she refers to as her singer–songwriter roots, and it’s her vocal debut, but it’s much more. Although best filed under the umbrella of rock & roll, the album’s ten songs draw from a wide range of genres. Tal’s team of expressive cohorts — drummer Jeremy Stacey, guitarist Blake Mills, keyboardists Benmont Tench and Zac Rae, and co-producer/guitarist Paul Stacey — weave a sonic tapestry of electric, acoustic, baritone, and bass guitars, supplemented by keyboards, strings, and woodwinds, to create ambiguous harmonic colors, shifting meters, and nuanced parts that all sparkle differently with each listening. 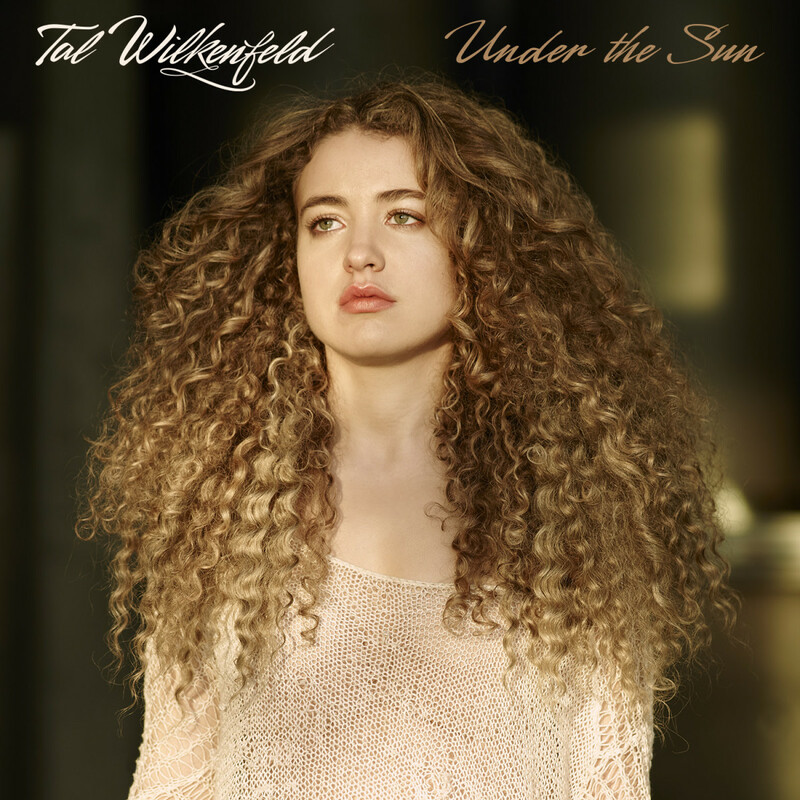 Lyrically, there’s equal heft, as Wilkenfeld reflects on the dichotomy of life and love, with a deeper spiritual component perceptible throughout. As for her two voices, she makes an instant connection vocally, whether cooing passionately or getting down, dirty, and defiant. And on bass, every move and manner that made her a special sideman with jazz and rock royalty is present. Best of all, Tal’s incredible journey — which began at age 16, when she left her native Bondi Beach, Australia to move to Los Angeles to study music, and climaxed on the stages and recordings of the likes of Jeff Beck, Herbie Hancock, Prince, Toto, Mick Jagger, and Jackson Browne — is the very essence that fueled the stories and songs on Love Remains. 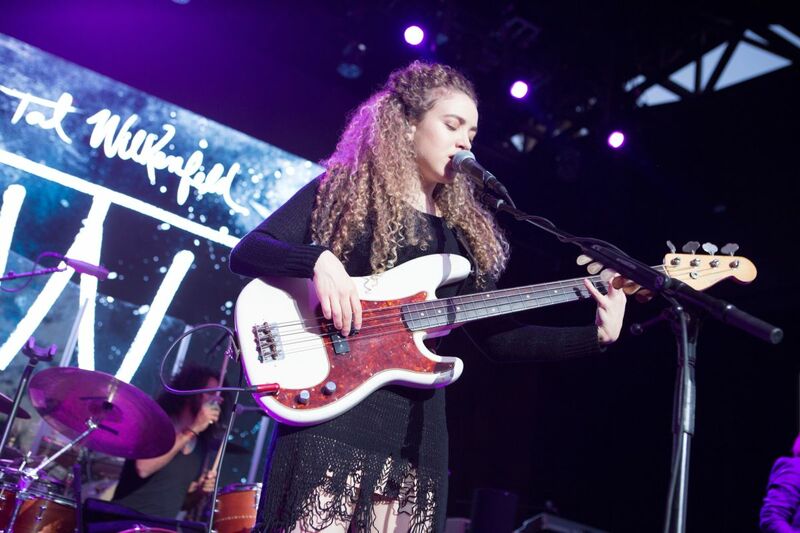 Yes, Wilkenfeld is embracing a new audience, but she’s not abandoning her established one. At what point in your sideman career did your desire to pursue your singer–songwriter side emerge? It was always present. I was singing and writing songs from the first day I picked up a guitar, at 14. When I moved to the States, my focus shifted to being strictly an instrumentalist. After a few years touring as a bassist, I realized I had abandoned my roots as a singer–songwriter. I knew I had to take time away from the that lifestyle and concentrate on finding my voice. That’s when I began working on Love Remains. How did you start compiling songs and get down to the final ten? I kept writing with the intention of finding a song that would become the linchpin for the rest of the album. When I wrote “Corner Painter” and recorded it with the Stacey brothers [Jeremy and Paul] and Blake Mills, I knew I had landed upon the sound, both compositionally and sonically, that I wanted the rest of the songs to stand alongside. Through my love of sushi! [Laughs.] I’ve met so many key people in my life that way. I made plans to have sushi with Benmont Tench.He invited Jeremy, whom I had met briefly at Eric Clapton’sCrossroads festival, and halfway through the dinner, Paul showed up. After dinner, we went to my car and I played them some songs I was working on. They really connected with it, and I liked what they had to say about how they’d approach my music, so we made plans to try out a couple of songs in the studio. I suggested we call Blake Mills, who’s one of the most inventive, musical guitarists I know, and the four of us cut “Corner Painter.” A few months later, while having sushi with Benmont at the same place, I met Zac Rae, who joined Benmont on keyboards when we cut the rest of the album. I can easily state that those five are amongst my favorite musicians in the world. I feel so blessed to have them be a part of this project. You chose Paul to produce the album with you. Yes. It was very helpful to have Paul working on this with me because he’s musically diverse, and I trust his taste and experience. He offered a lot of great ideas, and even when we disagreed about certain things, he took a stance when he believed it was right for the music. It’s important to work with a producer that isn’t just a “yes” person. Tony Berg [credited with additional production on “Counterfeit”] was also very insightful and supportive. I don’t think I’ve ever walked away from a conversation with him without learning something new. What is Jackson Browne’s role, and how did you first connect? Jackson is listed as executive producer because he oversaw the album process from start to finish. I met himwhile performing with Jeff Beck at the Rock and Roll Hall of Fame 25th Anniversary at Madison Square Garden.As I began recording my songs, I would call him up and ask for advice, and he was beyond helpful, taking the time to share his wisdom and knowledge. I feel very fortunate to have him as songwriting mentor and a friend. Who else is among your songwriting influences? A lot of the artists who inspired me were ones I was introduced to during the making of the album — thanks to Jackson and Benmont. When they realized I didn’t grow up hearing artists like Bob Dylan, the Stones, or Neil Young, they made sure to educate me. That affected how the album developed, as they became some of my favorite songwriters, along with Elliott Smith and Paul Simon. All of these artists were influencing my writing in real time, along with artists whose inspiration I’d already drawn from, like Leonard Cohen and Jimi Hendrix. Who are your singing influences? JeffBuckley, Sam Cooke, Janis Joplin, Joni Mitchell, Etta James, Aretha Franklin, Frank Sinatra, Donny Hathaway, and Bonnie Raitt are key inspirations. Another favorite is Dylan. Sometimes when I tell people that, they think I’m joking. How could they? Dylan has some of the greatest phrasing I’ve ever heard. And the way he delivers his lyrics — some of the greatest ever written — is unlike anybody else. His unique phrasing is apparent when he sings covers, too. Hendrix is another singer I love; Bruce Springsteen, Randy Newman … the list goes on. The common denominator, what sets them apart, is that they don’t approach the voice as a “singer.” They’re communicators. I definitely don’t think of myself as a singer; I’m just singing my songs because having someone else sing them feels inauthentic to me. I don’t even think of myself as a bass player either, for that matter. I might call myself a musician or an artist … on a good day! 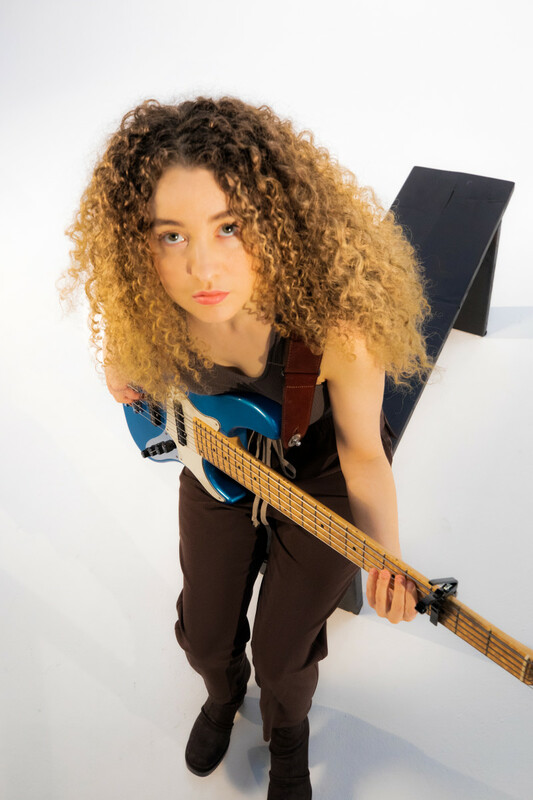 Has the transition to your singer–songwriter side led to changes in your bass playing? One hundred percent. I’m a completely different bass player now than I was when I was in Jeff Beck’s band and had only been playing for four years.It’s a really exciting time when you pick up an instrument and start discovering your voice on it. Sometimes that can be a distraction from the discipline of when to step forward and when to step back. The more experience you get, the more your playing becomes less about your voice and more about the song. Through the process of writing and recording my own songs, I am backing up a singer, and in this case the singer is me! Doing that regularly reinforced how to play the appropriate part for a song, not necessarily the most interesting idea I could think of. Most of the album, including “Counterfeit," was recorded live — so aside from some written parts, the bass playing is a spontaneous reaction to my singing. As always, I just play what feels right, and I try to be melodic. On “Fistful of Glass” I overdubbed the bass and used a pick, but I retained a call-and-response approach. Which brings us to your bass-and-vocal ballad, “Haunted Love.” How did you come up with that unique creation? I had put a high Cstring on my Sadowsky NYC 5-string, and while playing it, “Haunted Love” came to me all at once — melody, chords, and lyrics [see music]. I chose to use a capo because I wanted to sing it in a higher key and not lose the ringing, open strings. My approach is like I’m accompanying myself on a baritone nylon-string acoustic guitar. I also imagined having orchestral accompaniment, so when we were able to make that happen, thanks to Paul and a great English arranger named David Arch, it was a dream come true. The song is very satisfying to play because I get to sing on both of my instruments. I wrote that song with Sonya Kitchell, and I grabbed a Harmony hollowbody bass that was hanging on her wall.With the bass melody I played at the top, it seemed like the Harmony defined the sound of the tune, so I went out and bought one. Sometimes an instrument can inspire the creation or development of a song and in turn becomes a key part of its sound. So, it’s nice to maintain that authenticity when recording and performing it. That’s why Jackson Browne has 15 guitars onstage! Your bass on the rest of the album is a Fender Precision. Early on we established a sound for the record; I don’t want to call it vintage or retro, but it was definitely warm and analog. We didn’t want the album to sound like 1970 or 2019; we aimed to make it sound like it could have been recorded at any time. Passive instruments like the P-Bass and the Harmony work well in that setting, because they have a timeless sound. Modern basses have more of a hi-fi sound, which works great in certain situations, but it wasn’t right for what we were trying to accomplish. On “Haunted Love,” to make my Sadowsky complement the sound of the rest of the album, I used flatwound strings, rolled the tone all the way down, and recorded it through a guitar amp. Blake Mills plays bass on the title track. When we were recording, Blake tried a few different approaches on electric guitar, and it all felt like too much on top of an already complex song. So, I suggested he play bass. He used a flatwound-strung P-Bass and came up with a very interesting, musical bass line that I would have never thought to play. Sometimes the most inventive ideas on an instrument come from someone who doesn’t play that instrument primarily — like Stevie Wonder on drums! I played a baritone acoustic guitar on “Corner Painter,” and Blake tuned down his electric guitar. When we listened back, there was enough going on musically between the core trio of Blake, Jeremy, and me that we didn’t need to pull focus from that with an electric bass line. Later, I overdubbed some root notes on an organ to fatten up the bottom. I didn’t play bass on “One Thing After Another” because it wasn’t needed. Instead, we added a woodwind ensemble with bass clarinet, for a different color. How did Love Remainsbecome the title of the album? I liked how the combination of the two words has two very different meanings, both present in the record’s themes: the endurance or the failure of love.I had that title for a few years before finally turning it into a song. Real life situations inspire me, whether they’re mine or someone else’s. “One Thing After Another” came to me while I was driving in terrible traffic and my phone kept ringing with stressful calls. I spontaneously began singing the words and melody to the chorus of the song.“Pieces of Me” also came effortlessly, maybe because it’s such a universal theme: One commits oneself to a relationship and later discovers the other person only loves pieces of them. Most of my songs come to me while I’m driving, hiking, washing dishes — any kind of activity that puts my mind in autopilot. When you’re in that semi-meditative state, creativity flows. Do you write mostly on guitar? Yes; because of the range, it’s the most practical instrument for me to voice chords on. Piano would be my #1 choice if I were as fluent on it as I am on guitar. Occasionally I write on bass; “Killing Me” and “Haunted Love” were written on bass. Sometimes a song idea will start with a melody or a lyric, or when I’m playing an instrument it may be a chord progression. Sometimes a groove can catapult an idea. Whichever order it happens in, if it’s a song containing lyrics, I aim to have the music elevate the meaning or the message of the words. So if the music comes first, I’m always prepared to adapt the music to the lyrics afterwards. That’s where I admire someone like Stephen Sondheim. Rumor has it he won’t continue to write a song without a finished lyric. He writes the chords, the melody, and the lyrics all at once; therefore they all influence each other in real time. You use odd meters and shifting time signatures in a natural, musical way. I always say I feel everything in 1/1 [laughs]. For me, that’s rooted in listening to old blues and folk music, where the story and the vocal dictate the meter. If done well, it doesn’t end up sounding like an odd meter or odd measure because your ear is following the melody and the lyric. I was laughing with Bob Weir the other night, talking about how Lightning Hopkins played the 12-and-a-half-bar blues. You’ve said Indian classical music is your favorite genre to listen to. Yes, because it speaks to so many aspects of my being. First, it’s intellectually stimulating, because it’s rhythmically adventurous, and melodically they’re using quarter-tones. Second, there’s a spiritual aspect as they have ragas for different times of the day, which are associated with different prayers and chants. I love how music is a part of their spiritual practice. Last, the music really hits me emotionally; it’s very soulful. I actually have some Indian classical-style violin on “Under the Sun,” played by Shiva Ramamurthi. What led you to switch from guitar to bass? After I arrived in Los Angeles to study music, people would catch me plucking funky grooves on my guitar. If I saw a bass, I wanted to play it. Same with drums. It was obvious to everyone that I wanted to be a rhythm section player. I was hesitant to switch, getting such a late start at 17, but once I picked up the bass it felt very natural to me. It felt like home. Who are your main bass influences? The people I spent time with when I was a teenager. The first person was Marcus Miller, who took an afternoon to play bass with me and offer his guidance. Soon after I moved to New York, I met Anthony Jackson. We’d sit in his car every week, talking about music and analyzing albums. He’d say, “Listen to how the bass subtly sits back in the verse here,” or he’d ask me questions like, “Why do you think they chose to play that there?” Having a musical conversation with a giant like Anthony had a big impact on me. He regularly sat in the front row of my shows. We only sat down once with our basses, for like a half-hour, which was a lesson in itself. Ultimately, however, I learned bass playing isn’t about what you can “do” on the instrument, it’s your concept that matters. Next, I met Oteil Burbridge, and through him and Derek Trucks, I sat in with the Allman Brothers at the Beacon Theater. One night they had me play “In Memory of Elizabeth Reed,” and they gave me five minutes alone onstage to solo! I also met Lincoln Goines, who played on Wayne Krantz’s Long to Be Looseand 2 Drink Minimum[both 1995, Enja] — the two albums that drew me to New York in the first place. On occasion I’d also see Tim Lefebvre and [drummers] Keith Carlock or Zach Danziger play with Wayne. Those guys are all great. When I got to New York, people told me I sounded like Jaco, and I hadn’t really familiarized myself with his work yet. So I dug into his solo records and his work with Weather Report and Joni Mitchell. The truth is, even if you never hear Jaco, if you listen to ten bass players now, you’ll hear Jaco in at least nine of them. His work has become part of the bass vernacular in the same way that Hendrix has for guitar. As a kid I saw and met Victor Wooten in Australia, playing with the Flecktones, but I wasn’t playing bass yet. He was the first bassist I ever saw play in person, and I remember assuming that must be how everyone plays the bass, which in retrospect is pretty hilarious! Nowadays there are so many great bass players out there. I get inspired by the ones who have a solid groove and create a bass line that is just as melodic as the top line. James Jamerson was the king of that. How do you reflect on your debut instrumental album? My intention was to make a record with no particular purpose other than for it to become a calling card of sorts. We recorded the album in two days, and it was very much about composing songs for the bass. It helped me get to tour with Chick Corea and Jeff Beck, so it definitely served its purpose. As a standalone album it’s so far from where my head is now that I don’t think I’m the right person to judge what it is or what it means to me. I feel like that was in another lifetime. What was your main takeaway from working with Prince? Inspiration. I was inspired by how quickly he liked to work. The first time I recorded to tape and used a pick in the studio was with Prince on a song called “Hot Summer.” He preferred recording on tape and he moved very fast, and he neverwanted to punch in unless it was absolutely necessary. And if you did punch, he would only give you one shot at it. That taught me how to how to work fast and effectively, and commit to my decisions. How about your takeaways from working with Herbie Hancock and Wayne Shorter? It’s comforting to know that two of the greatest musicians alive are just as focused on their spiritual paths as their musical paths, and for them, they’re one and the same. I remember standing at the side of the stage a few minutes before I was going to play with Wayne, and he came up to me and said, “Play eternity”! Leonard Cohen, who I was lucky enough to spend time with, was also deeply focused on his spiritual journey. Self-inquiry is a very important part of my life, and it’s reassuring to meet other like-minded people. How would you summarize your time with Jeff Beck and what you gained from the experience? Playing in Jeff’s band — and Herbie’s band, for that matter — was so much fun, because it was never about “playing for the sake of playing”; it was about having diverse musical conversations with notes. When you approach music from that place, everyone has something to say and something to learn from a conversation. There’s no way you can walk away from situations like that without picking up on some of the nuances and the subtleties these masters bring to the music. Also, playing with Jeff exposed me to people who have now become very loyal fans. I’m truly grateful for that. I got to see a lot of the world, and I experienced so much during that time, which in turn I’ve been able to express in my songs. How did you come to open for the Who, and what did you garner from that tour? I met Pete Townshend briefly in 2014, but right after I recorded my album I sent it to him, and his reaction was very encouraging and supportive. As it turned out, the opening band for the Who’s upcoming tour was having visa issues, so it was a case of very fortunate timing. As for experience, it was invaluable. Other than a few club shows, I had never sung a whole set of my music before, certainly not in arenas. I learned how to create a set that keeps the audience engaged, and I built up the stamina to perform it. I alsolearned how to simplify the music in order to reach the people in the very back rows. We’re off to a fun start: I just wrapped up a super-busy few weeks of shows and press appearances in New York City. I have another series of tour dates in June, and I plan on touring in support of Love Remainsin 2019 and 2020. I’ll also maintain my session side at home in L.A., where I’ve been doing some writing, arranging, and production work, in addition to bass playing. I love collaboration. If I can enhance a project with something I can contribute creatively, I’m all in. Ultimately, I’ll listen to what my heart tells me to pursue, as I’ve always done, and I’ll follow the inspiration.